India’s beauty and attractiveness lies in its complexity and diversity. The complexity of the Indian society also contributes to the fragmented nature of its economy and markets. From a brand builder’s perspective, building successful brands in India requires an in-depth understanding of two critical (and sometimes opposing) factors: sporadic and unstructured growth opportunities, and the need for products that are attractive to wider demographic and social groups. India’s love for brands is unparalleled, but increasingly the criteria on which brands are judged, have become harsher. Significant transformative forces are blowing through India’s society. The country crossed the 1 billion mobile phone subscriber number in 2016. The demonetization process is going to significantly impact numerous market segments. Mobile commerce is expected to overtake e-commerce in terms of growth. Startups are proliferating in every imaginable market segment. International brands are setting up shop in multiple industries. The “on-demand” economy is rapidly growing, and rural and semi-urban India are gradually getting exposed to the fruits of economic growth. These factors have also strongly influenced the thinking, frameworks and processes which brands now need to be built on in India. Gone are the days when a brand could have comfortably depended on a strong retail presence, endorsement from few celebrity endorsers and competitive price points to ensure its success. Many of these factors are either now hygiene and in many instances redundant. Brand building in India now requires new perspectives, refreshed thinking, holistic approaches and deep understanding of the factors that influence consumer needs. It is important to examine the key factors that have fundamentally changed brand building in India. Although there is still scope for improvement, marketers have taken confident steps towards embracing branding as a discipline (and not a haphazardly put together amalgamation of a logo, some colors and some advertising). Driven initially by global best practices of multinationals, homegrown brands are also now slowly embracing the power of branding. Patanjali Ayurved, the Indian FMCG founded by spiritual guru Baba Ramdev, had a turnover of more than USD 1 billion in FY 2015-2016 and was aiming to overtake multinational giants like Procter & Gamble, Colgate-Palmolive and Nestle in revenues. The success of Patanjali Ayurved showcases the power of building brands using the influence of an enigmatic founder, who in turn has brilliant commercial sense and a deep understanding of the Indian consumer psyche. 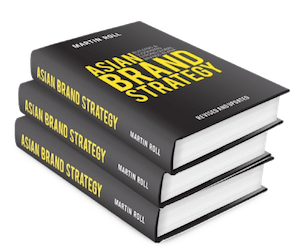 It also showcases non-traditional and alternative strategies for brand building in India. Emergence of storytelling as a holistic brand-building tool: Even the legacy brand building strategy of using ambassadors from glitzy Bollywood and the hugely popular world of cricket has gone through a phase of change. Indian cricketers and Bollywood stars continue to be ambassadors for a plethora of brands, but there is a strong emphasis on building brands through storytelling. Storytelling now covers some of the most pressing issues of the Indian cultural and social fabric – empowerment of women, household roles and responsibilities, child education, community support, sustainability, bridging the gap between the poor and the rich, and the bonds characterizing Indian families. Brands like Surf (from Unilever) are now exporting strategies used in India to grow and develop the brands in other markets. Startups and disruptive business models: Another trend that has disrupted traditional brand building mindsets is the rapid emergence of startups in every conceivable industry segment. The ones that have seen the most disruption are retail, transportation, payments and the on-demand economy. In terms of brand building, Indian startups are now in a state which homegrown Indian brands were in five years ago. Majority of Indian startups do not have a strong brand, a clear positioning, a strong differentiated offer, nor medium-term or long-term ambitions of building brands. But due to their alternative business models (which seek to enhance the convenience factor in everyday life), they have been able to disrupt existing businesses. Price as a defining factor of brand choice: For many Indian startups, price-driven marketing continues to be the primary pivot for the organization. Due to the price conscious nature of the Indian society (and especially the burgeoning middle class), having an effective pricing strategy that can appeal to a wide range of income groups can go a long way in driving market share. Take for example, the e-commerce battle that is being played out between Amazon India, Snapdeal and Flipkart. It is a classic case of price and delivery (aka convenience) driven strategies influencing market share, revenues and profitability. Amazon carries with it its global brand equity, while Snapdeal and Flipkart continue to compete on price (with some attempts made to refresh logos and branding colors). Erosion of traditional brand-building models: Brand building in India also requires a deep understanding of the role of technology, channels and platforms. The mobile ownership boom has rewritten the rules of brand building in India. Secondly, physical retail and e-commerce have locked horns in a fiercely competitive space. Platform business models are yet to take off in the country, but there are opportunities to be tapped into. The yesteryears brand building model of using distribution strength, a few emotional claims, smart use of celebrities and attractive prices is slowly becoming redundant. E-commerce has made physical distribution strength a hygiene factor and not a source of competitive advantage. Proliferation of brands has made effective positioning challenging. The Indian consumer still wants his or her heartstrings to be pulled by a celebrity but has increasingly started using knowledge as a decision driver. Pricing has become a more thorny issue, with rising income levels encouraging brands to become more premium, but risk losing vast segments of the population as potential target groups. In terms of external factors, successive governments have invested in efforts in pushing India up the value chain. The success of initiatives like “Make in India” is yet to be fully realized, and its ability to make Indian brands competitive at a global level is circumspect. Investing in and building strong brands continues to be a sporadic activity, with a spectrum that ranges from “world class” to “barely existent”. But there has been strong progress in terms of consciousness towards brand building as a strategic asset and the evaluation of a strong brand’s impact on an organization’s bottom line. The primary challenge for brand builders in India (both multinational and home-grown) is the fact that “copy and paste” brand building strategies are doomed for failure. Even a giant like Unilever, with proven ability for building global brands, has admitted that they need to increase the “localization” element in their brand building strategies. This realization is slowly spreading across the corporate world and India is no exception to this. In a rich and diverse country like India, brand building requires extra sensitivity to regional tastes and preferences. Nestle India understood and respected these sets of needs when it launched Nescafe Sunrise Premium to cater to the strong preference for filter coffee in Southern Indian states. The success that global cosmetics and beauty products giant L’Oréal has achieved in India, is strongly driven by its localization strategy and a deep long-term commitment by the management to the Indian market. Just like in any other nation, the Indian consumer grows up with a strong affinity towards a set of brands. The big change is that 10-15 years ago, an Indian consumer would have grown up with an affinity towards homegrown brands, while in current times he or she grows up with a strong affinity for global brands. Brands like Godrej (white goods, appliances), Britannia (food products), Haldiram’s (snack foods), Maruti (automobiles), Parle (food and beverages), Bisleri (mineral water), Thums Up (soft drinks), Nirma (detergents), Amul (dairy products), Bajaj (automobiles), Nalli (traditional Indian women wear) and Tanishq (time wear, jewelry) are examples of homegrown brands with strong legacy, longevity, adaptability and long-term vision. These brands continue to enjoy strong appeal, preference and loyalty levels in spite of the onslaught from global brands, rising levels of consumer knowledge, higher levels of exposure to foreign markets and rapidly shifting needs and preferences. Build on trust: The importance of building trust is often an underrated element of brand building. Compared to anywhere else, trust is fundamental for building strong brands in India. The Indian consumer is not pleased very easily, but once pleased, tends to display strong loyalty and affinity levels. The case of Maggi’s resurgence after Nestle India was cleared of any misconduct is a case in point. An average Indian grows up with Maggi as an omnipresent snack item in the household. It didn’t take long for Maggi to go back to category leadership status after being absent from supermarket, grocery and kirana store shelves for more than a year. Another case in point is Tata – with all its top management doldrums and legal wrangles, the Tata brand name still enjoys strong appeal. Trust is a multidimensional element from the point of view of marketing and branding in India. Not only does a brand need to elicit trust from the end consumer, but also equally from the consumer’s “recommendation machine”. Word-of-mouth is very important as a driver for brands in India. This machine consists of family members, friends, relatives, the local kirana storeowner, online reviews, testimonials from older family members etc. Gain deep understanding of cultural and communal values, beliefs and traditions: The Indian consumer has been able to maintain a balance between having aspirations to use world class brands and displaying unflinching loyalty towards brands that have provided consistent, enjoyable and fulfilling experiences. Food, which is a favourite pastime and topic of conversation, is a category where this balance is exemplified quite nicely. Majority of Indians who live in the major cities and towns have experienced global food brands (both in terms of restaurants and also branded food products), but this has not led to the decline of any homegrown Indian food brand. The continued success of Britannia, Haldiram’s, MDH Foods, Parle and Sunfeast validates the fact that brands that are built on platforms of diversity will have sustaining power. The success of Unilever’s Bru and Nestlé’s Nescafe Sunrise Premium are also great examples of brands built on regional tastes and preferences. Analysis of growth across multiple categories indicate that regional brands have started to challenge national brands on market share and revenues. Flamboyance has its place, but not for everything: With all the talk about the Indian consumer’s need to exhibit flamboyance and flaunt status and wealth, the “Big Fat Indian Wedding” and the glitz and glamour associated with Bollywood, brand choice decisions are unsurprisingly driven by needs that are highly emotional. Brand equity in India has an emotional bias, with functional attributes working as hygiene or superficial factors. Building a strong brand in India requires a constant endeavor to pull emotional chords through genuineness of purpose, values and promises. In addition to normal day-to-day life, customs, traditions, festivals and key life events provide additional opportunities for brands to engage with consumers. These occasions are highly emotional in nature and brands need to display sensitivity to remain relevant and appealing. A general scan of Indian advertising reveals significant emphasis on different situations and moments of life, their impact on an individual’s perceptions, family situations, relationships between parents and their offspring, empowerment themes, realizing one’s ambitions in life, struggles and the ability to cope with them and celebrations of moments of joy. The single line of thread running through such a wide variety of themes is that of “emotion”. This is why an emotional connect is a pivotal element of any brand building strategy in India. Clear articulation of the value perception: India is a land of diversity, but also disparity. Income levels vary widely, with a majority of the country’s population still living beyond the poverty line. But the positive side of the story is the burgeoning middle and lower middle class with rising income levels. This rapid growth in consumer spending prowess (and the associated increase in consumer base) is the primary factor attracting global brands to the Indian growth engine. But it comes with its own unique set of challenges. One of the key challenges is to understand the value perceptions of the Indian consumer. Brand proliferation and fragmentation has exposed the Indian consumer to a bewildering array of choices (that come in all shapes and sizes). These choices come in different varieties, pack sizes and formats with associated price points. To strengthen brand equity through emotional bonds, brands need to have a clear articulation of their value proposition. It needs to go beyond “being cheaper”, “being at par” or “being expensive”. Consumers, driven by aspirations, are open to trading up but not at the expense of being fooled. Successful Indian brands have clear value propositions. Britannia’s slogan “eat healthy, revitalize your body and mind” positions it as a food company with a wholesome range. Challenged by Patanjali Ayurved, Dabur India (the pioneers of Ayurvedic products in India) has gone back to its roots with a change in slogan from “Celebrate life” to “Science based Ayurveda”. On a similar vein, MTR Foods, a national player with close to 100 years of history in the pre-packaged vegetarian meals segment, has a simple but powerful value proposition of “tasty and convenience driven meal solutions”. Innovation is not only about product launches: Innovation has a strong role to play in a market like India, characterized by a complex maze of tastes and preferences which shift as one travel across state borders. Nonetheless, brands should use innovation as a tool to identify growth opportunities or tap into unmet needs. Branded coffee shop chains are not a new concept in India, with brands like Barista and Café Coffee Day existing for a long time. The success of Starbucks in the country is characterized (no doubt by the Starbucks brand pull) by a strong focus on a premium customer experience. Innovation does not need to be just new product launches – communication and delivery of the brand experience is an often forgotten area for innovation. To be a national player in India, brands have to constantly manage the pressure of bloated portfolios to cater to regional preferences. Without adding to their portfolios, brands can innovate to deliver excellent customer service and superior brand experience, which are ripe for innovation. The old rules of brand building in India have gradually become redundant in the face of a transformation of the Indian society driven by various micro and macro-level factors. One pillar that has not changed, and in reality, has become more important, is the need to have a deep view of consumer needs. In India, this needs to have a regional lens to be effective. The new Indian consumer is pushing and pulling at two ends of the spectrum – rising consciousness and knowledge about global brands and standards of excellence, combined with openness towards homegrown brands that have got their positioning and value articulation right. National Highway 44 runs from Srinagar in the extreme north of India and terminates in Kanyakumari in the extreme south. The highway passes through 11 states, each with its own vibrant set of customs, traditions, beliefs, tastes and preferences. If a brand considers this highway as a metaphor of a thread that runs through the country but changes color and evolves along the way, then the brand needs to embrace this thread to be successful. Technology has significantly altered the way the Indian consumer lives his or her life and shops, but the key drivers of brand equity continue to be rooted in deep emotional brands. Establishing these bonds have become more complex and challenging. Building a strong brand in India requires a deep understanding of the factors that have directly or indirectly shaped purchase and consumption behavior in recent times, which are related to how consumers think and feel about brands. There has been a conscious attempt to stamp a more individualistic viewpoint on brand choice and preferences, but the underlying connection to the family and the broader society continues to be strong.